Leading experts in infant/toddler development have contributed succinct essays drawn from research, theory, clinical case studies, and carefully documented practice. 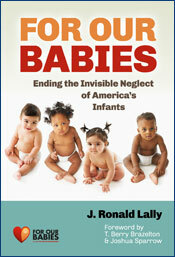 Each essay represents current thinking in the field of infant/toddler development and care. Individually and as a collection, the essays provide a springboard for reflection, discussion, and further exploration, especially for infant/toddler professionals seeking to enhance their programs and for students in the field of early care and education. How can we support the amazing language and literacy capacities of infants and toddlers?